Questo è il comunicato ufficiale dell’UCI riguardante i Mondiali 2014 a Ponferrada in Spagna, che erano in forse a causa delle gravi difficoltà economiche del Paese e della regione Castillla Y Leon. The International Cycling Union (UCI) today confirmed that the 2014 UCI Road World Championships will take place in Ponferrada, Spain. At its meeting in Maastricht, the Netherlands, last September, the UCI Management Committee decided to grant the organisers of the Ponferrada event 30 days to meet certain contractual commitments. This confirmation is on the condition that remaining guarantees are forthcoming. The World Championships were last held in Spain in 2005, when they were hosted by the capital Madrid. 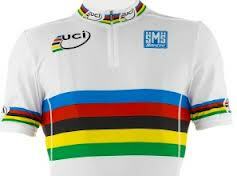 The 2014 UCI Road World Championships will be held from September 20th to 28th.